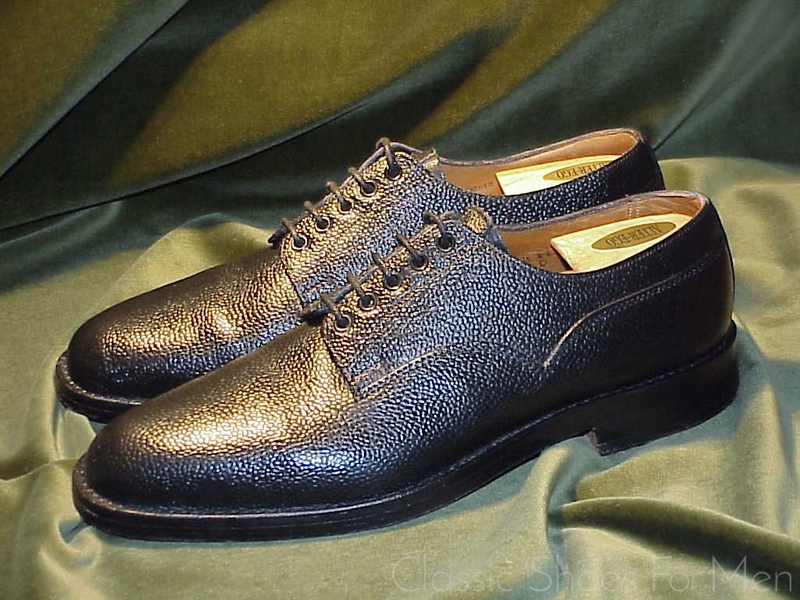 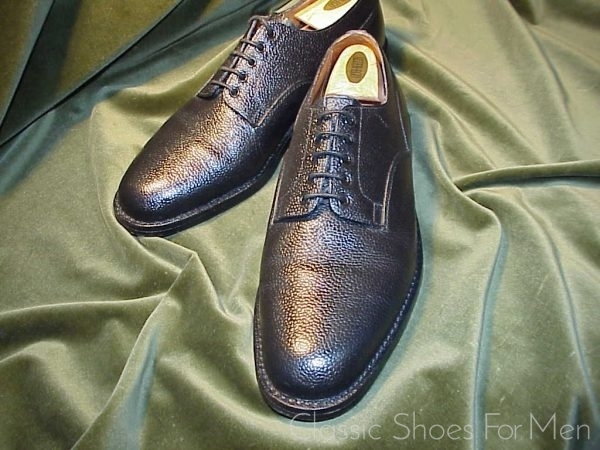 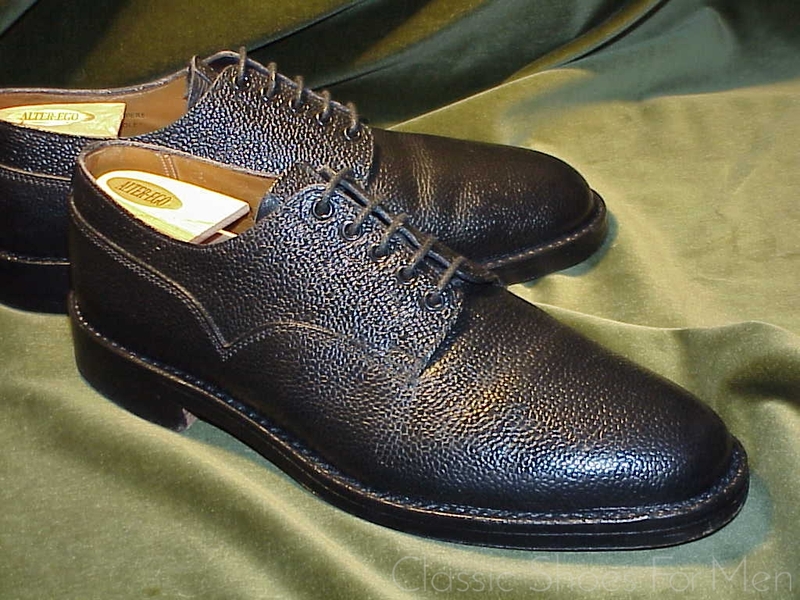 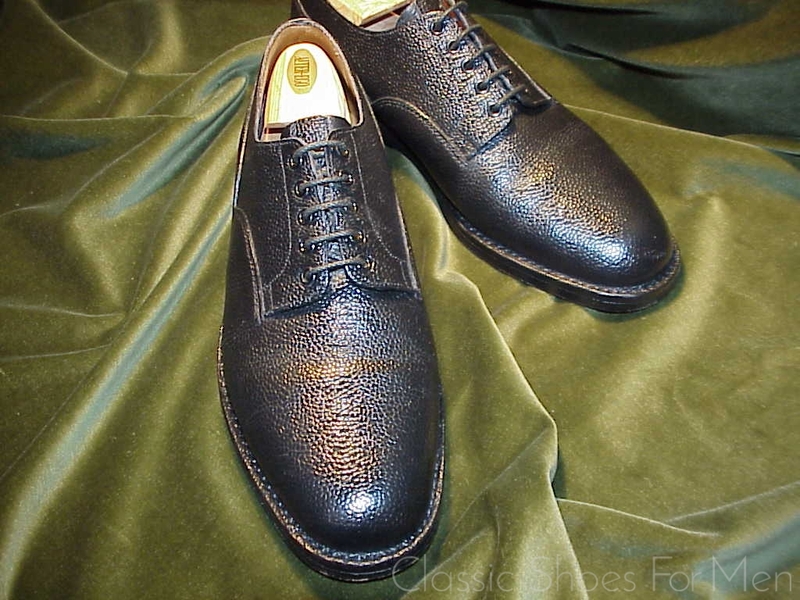 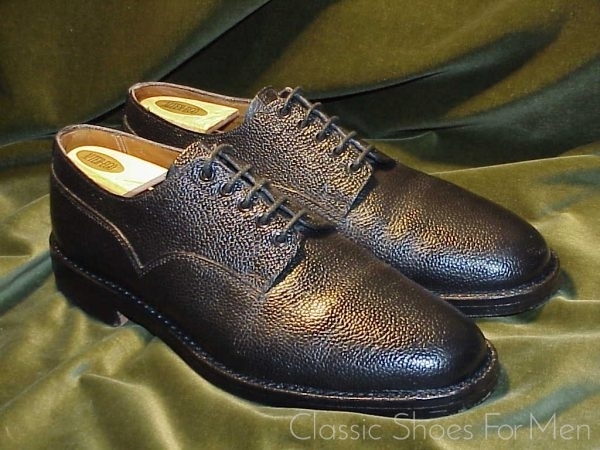 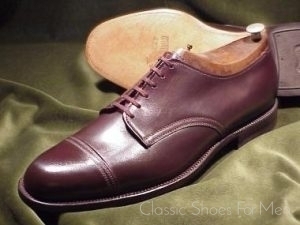 For more than a century, Lotus was considered to be one of England’s leading shoe manufacturers and while they produced a wide variety of boots and shoes in their century-long operation, their flag-ship products and the ones with which they continue to be associated are their Veldtschoen boots and shoes, thought to be the finest Veldtschoen products ever made. 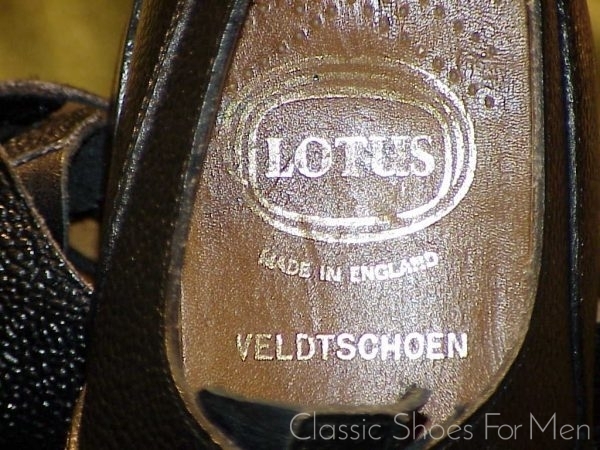 Veldtschoen construction, distinguished by the hide being turned out at the welt, probably originated in the 16th century, while British patents for the type first appear in the 19th century. 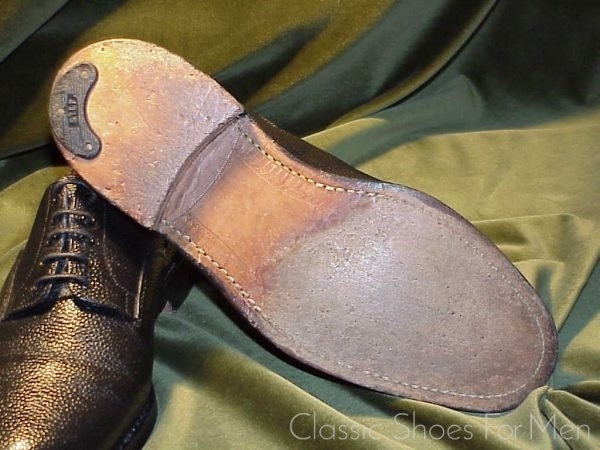 The term itself comes from the Afrikaans and the Boer War. It is believed that the Dutch originally imported the technique to South Africa. 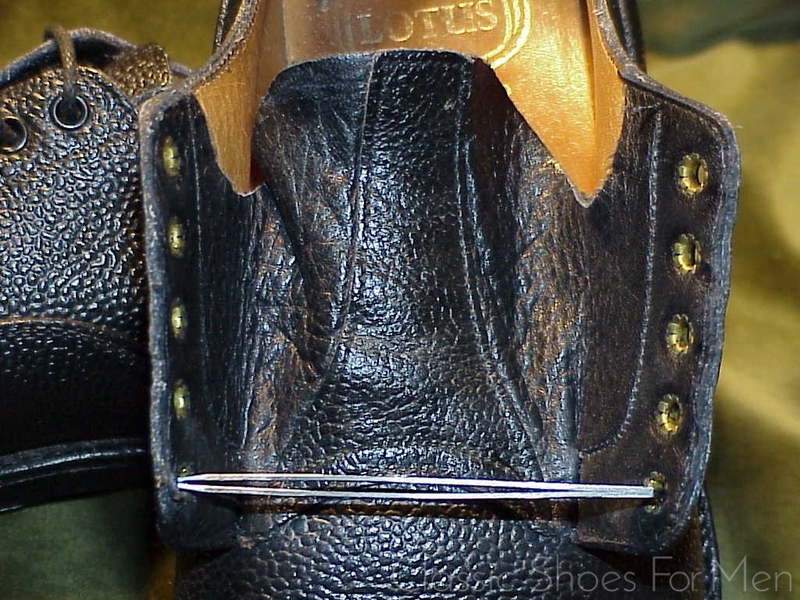 Finally, it was in the First World War that the type of construction became widely known and it has always since been associated with Lotus. Zug leather, apart from its highly waterproof characteristics is, because of it embossed, raised grain, far less susceptible to bruising or nicking than smooth leathers. 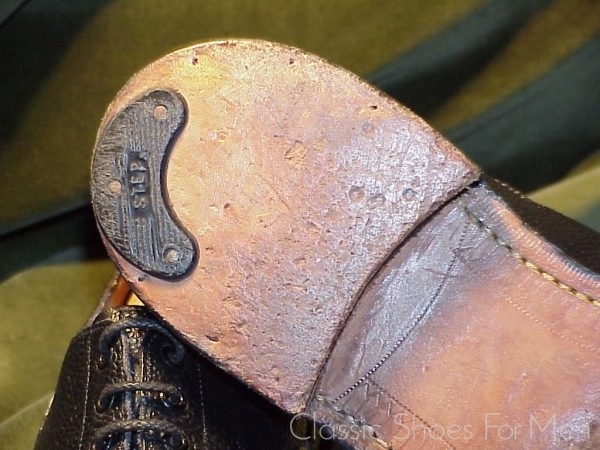 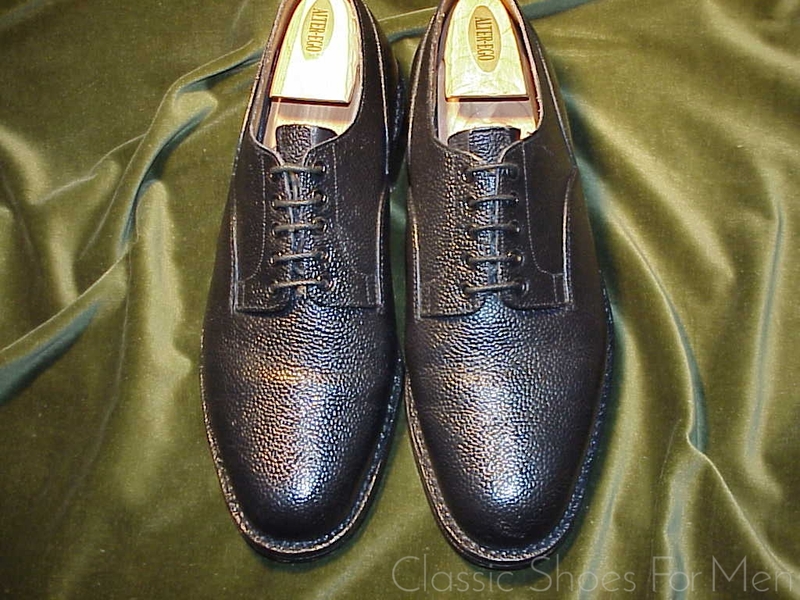 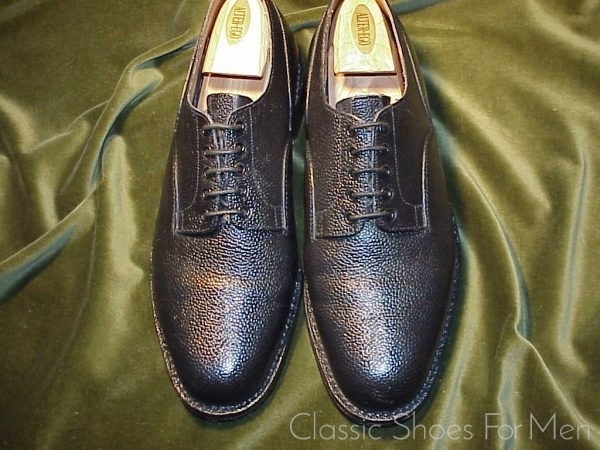 This shoe is, of course, in near new condition but I am showing other examples in the website, used and as much as 40 years old that show not a single sign of scratching or other damage! 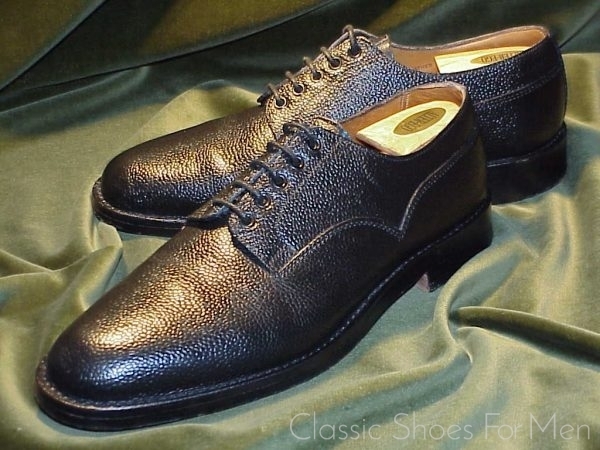 It is generally agreed that the Zug grain leathers of the mid century, mostly purveyed by the tanners, Bridge Of Weir and Martins, are of superior quality and longer durable than anything available today. 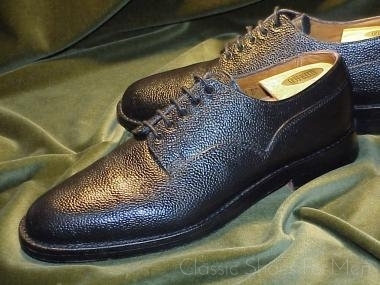 In short, this is a terribly well made shoe and brings with it great tradition. 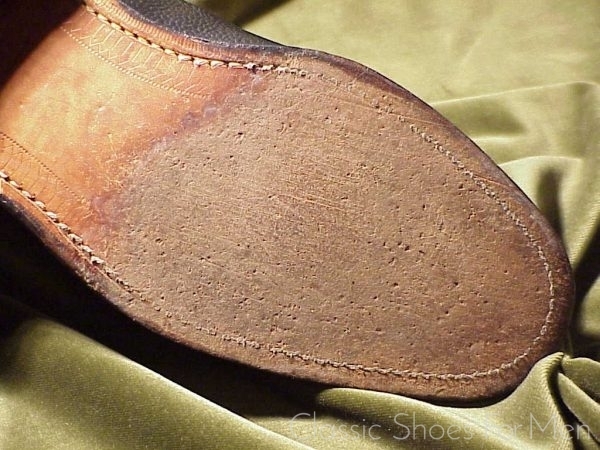 Apart from the Veldtschoen construction, and the indestructible Zug Grain leather, the triple sole can be expected to endure decades. 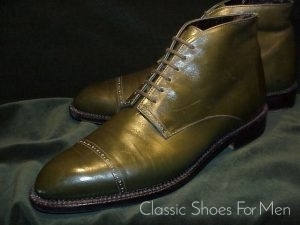 Notice the water-repellent gusseted tongue (Picture # 8). 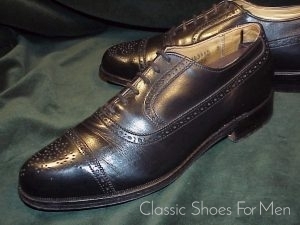 UK 10E......US 10.5-11D......Continental 44-44.5D, for the medium width foot.